Are you ready for e-LIVE interpretive training? JVA is pleased to announce the development of the second of several e-Live interpretive training courses offered by Professor John Veverka. 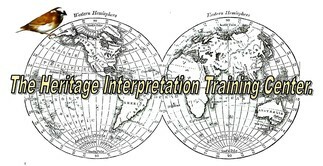 We feel that any interpretive training experience should be taught by professional Certified Interpretive Trainers/Planners with college level degrees in heritage interpretation (ideally at the M.S. or Ph.D. levels) and/or with years of actual interpretive experience in the course topics being offered, to deliver college level interpretive training courses based on real world experience. This course is for any individual or organization involved in interpretive planning for self-guiding interpretive trails including: landscape architects, park planners, interpretive planners, recreation specialists, interpretive specialists, environmental education specialists or others responsible for the planning, design and media development for interpretive trails. This course will be especially valuable for staff charge with interpretive trail planning who have no formal advanced training (university level courses) specifically in interpretive communications. In addition this course is design to provide one-on-one assistance for any participant actually involved in planning or upgrading an interpretive trail. * Walking trails in parks, forests, natural areas, nature centers, etc. 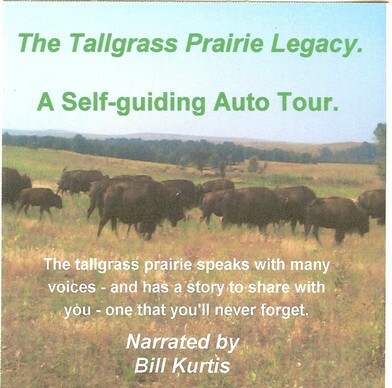 * Self-guiding driving tours for heritage regions and scenic byways. * Heritage area - historic district and historic community self-guding walking tour routes. * Historic site/village self-guiding walking tours. We are very flexible and can provide individualized training materials in these topic areas and have actual experience in developing interpretive self-guiding media for each of these resources. 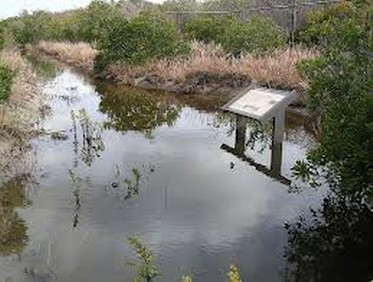 - Understand what makes an interpretive trail "interpretive". - Learn that the "trail" can be a walking trail, auto tour trail, historic town walking tour trail. - Gain an understanding of interpretive trail planning elements and trail standards. - Again an understanding to the total interpretive planning process. 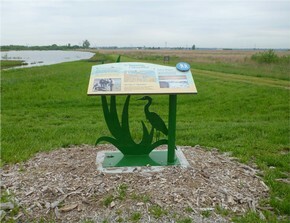 - Learn of the current medium and materials available for outdoor interpretive panels. - Learn of design standards for related interpretive media. 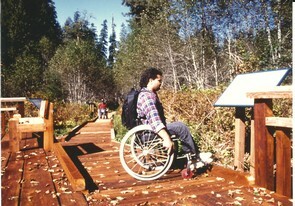 - Feel confident in planning and designing successful and safe interpretive trail experiences. Develop an interpretive trail (or driving tour) master plan (if you are working on a actual trail project) or interpretive trail plan outline/check-list if you will be working on a trail plan in the future. The course is set up for you to develop your interpretive trail plan step-by-step, from each unit in the course. Final projects are flexible depending on your specific needs. Note: This project could also be for the development of self-guiding auto tours and driving tours for scenic byways as the same planning/design principles would apply. How will e-LIVE work? Our e-LIVE courses are limited to 10 participants at one time, to allow for maximum interaction with the course instructor. Once one participant completes the course another participant can be added. - JVA will provide you with reading, text book and articles as part of the course. - You'll be given a writing assignment for each unit which you will send to John for review, comments and writing coaching. You'll be able to talk with John about each assignment via SKYPE, or by e-mail or phone. Thus the e-LIVE opportunity. John will be your instructor and writing coach who you can talk with at any time about your assignments. - When you've completed the Units you will be awarded a certificate of completion and 2.5 CEU (Continuing Education Unit) credits. Additionally, you can work on writing assignment for actual projects you may be working on - self-guiding trails or trail re-development, developing SGT products such as panels, developing self-guiding driving tours for scenic byways, etc. That's the benefit of e-LIVE - we are flexible in designing the course to meet your real-world needs. The estimated completion time of the course is 25 hours - and you can work at your own pace. Start anytime, finish anytime. 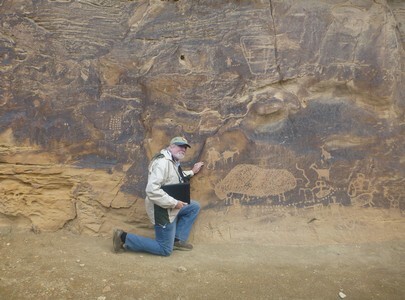 Part of your course materials will be an e-book copy of John's newest book - the Interpretive Trails Book. Unit One - What is an "interpretive" trail anyway? - How to use Tilden's principles in interpretive trail planning. Unit Three - Trail tread surfaces (what you will be walking on). Unit Four - Trail Grade Standards (thte rise and fall of the the trail surface). Unit Five - General trail design standards. Unit 6 - Advantages and disadvantage of self-guiding trails. Unit Seven - Interpretive Trail visitor considerations. * Learning concepts and principles. * Maslow's hierarchy of needs. Unit 8 - Types of Interpretive Trails. 1. The leaflet and marker trail. 4. The video trail (via iPhone/smart phone). 6. Trail media selection matrix. * Developing interpretive trail head signs. * Interpretive trail guides (printed, audio, smart phone). Unit Ten - Interpretive Panel/sign mediums/materials (pros and cons). Unit Eleven - Planning and design standards for interpretive trail media. * Interpretive graphic standards for interpretive panels. Unit Twelve - Putting it all together - Developing the Interpretive Trail Plan. 1. Trail resource and story inventory and creating the interpretive theme. 2. Developing the interpretive trail objectives. 4. Understanding the trail users and trail impacts by visitors. 5. Selecting the trail locations (for a new trail). 6. Implementation and operations (costs and implementation strategy). Unit 13 - Final project - your interpretive trail master plan (if you are working on a actual trail project) or interpretive trail panning outline/check-list if you will be working on a trail plan in the future. This Course is now ready to "go live" . You'll be able to register for (and pay for) the course at at the bottom of this page, by PayPal or Credit Card. Cost for the 25 hours training with live interaction with the instructor is $200.00 USD. Feel free to contact John if you have any questions at all.